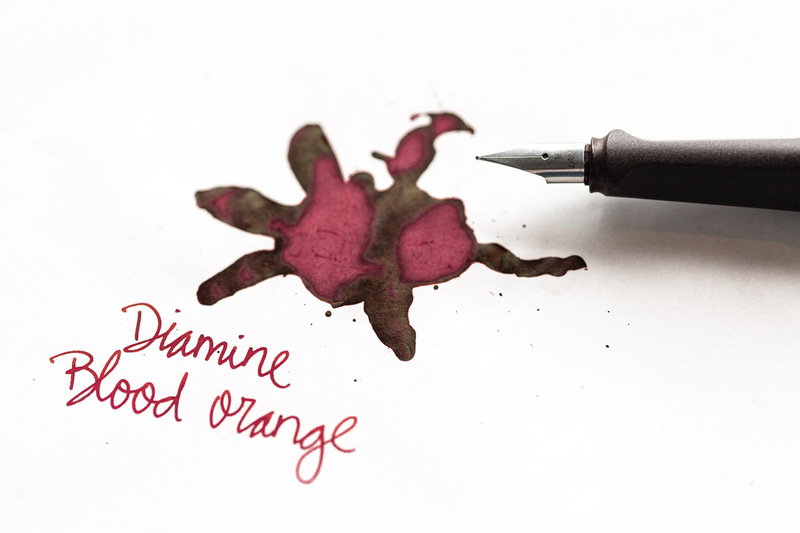 30+ seconds – It takes at least 25-30 seconds for this ink to dry. 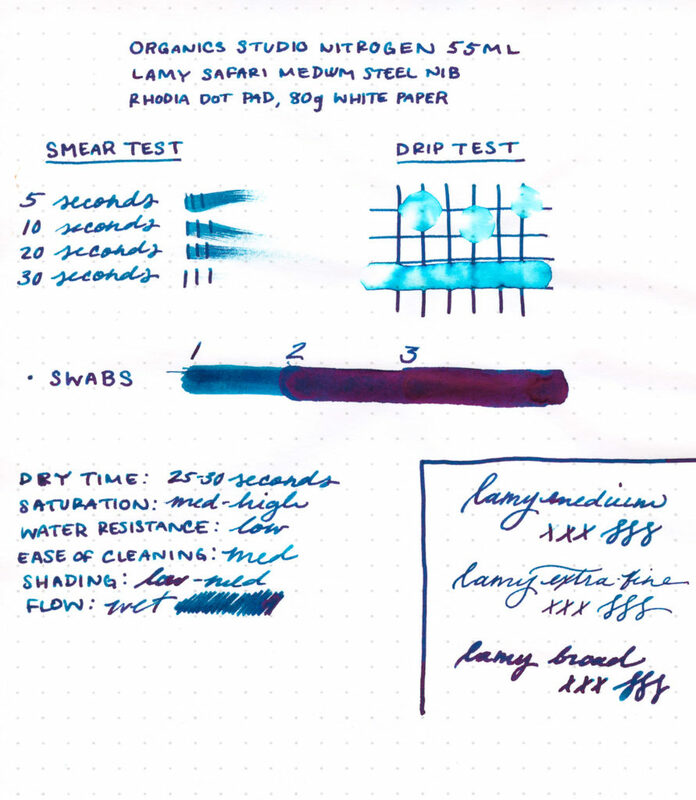 It’s also probably good to note that in areas of great saturation, it seems that it’s never truly dry; a day or two after making this review sheet, a dusting of the ink was still coming off on fingertips! Low – It reacted pretty quickly to water. As you can see by the image, virtually none of the original line detail remained once the drops were added. 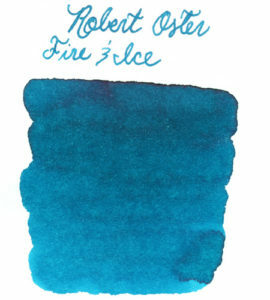 The ink turns a lighter aqua color with the addition of water. 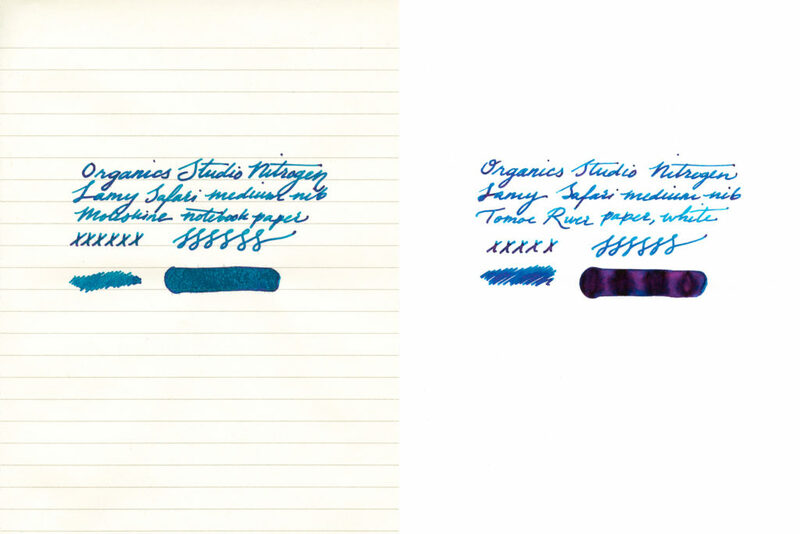 Medium – The greatest difference is evident between the first two layers of ink swabs, and not so much the second and third. I’d say medium saturation here. 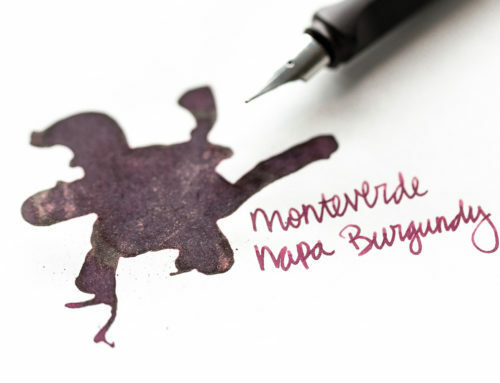 Low-Medium – Even after only having this ink in the pen for a little while, it seemed to take a little more time and effort to get it flushed out. I was expecting something around this level of maintenance, but it’s still good to note. 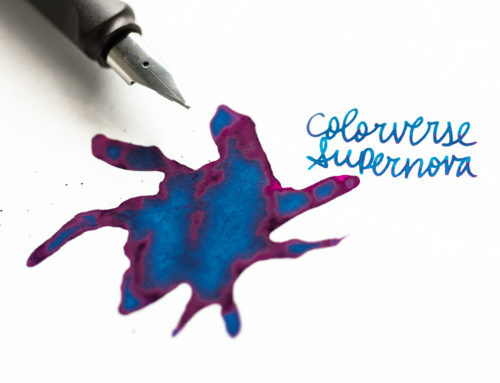 Low – I wouldn’t say there’s much shading at all in this ink. 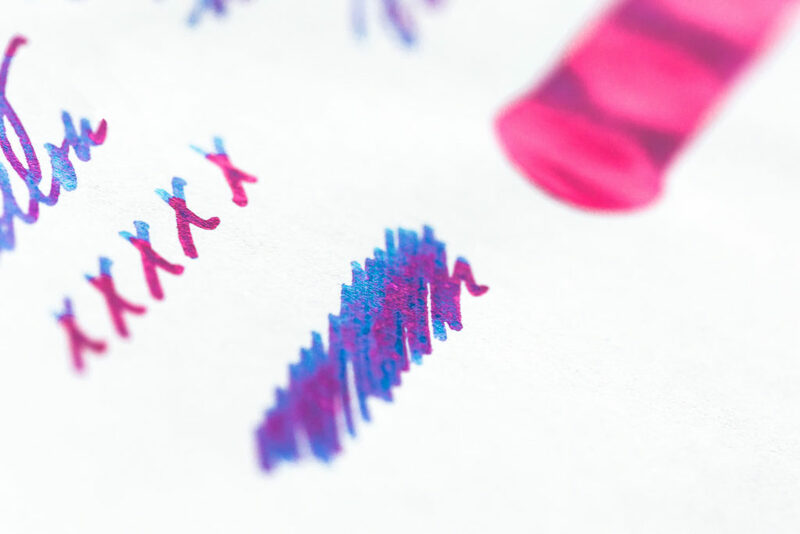 Where there isn’t the primary ink color, there’s sheen. There isn’t really an in-between. 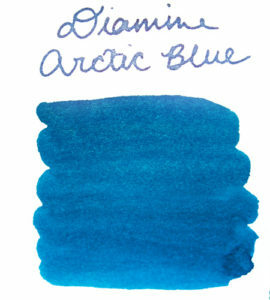 High – While there is very little shading, the sheen is out of this world. 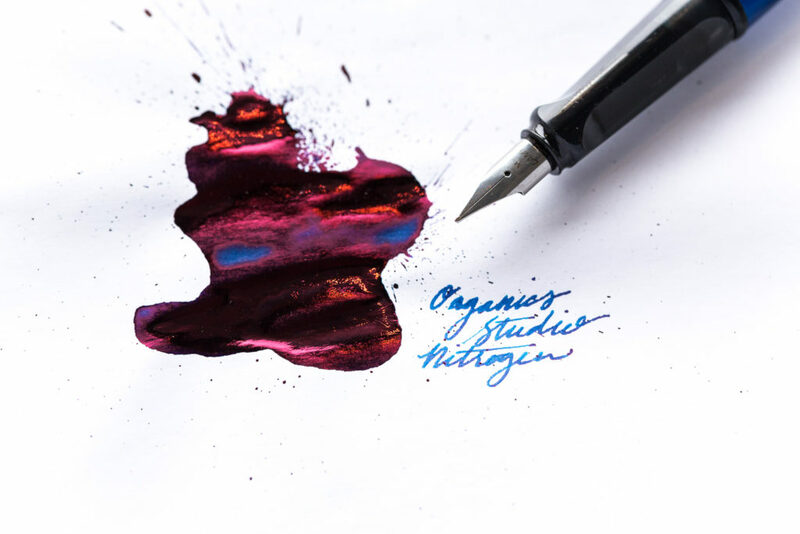 Even in the regular writing samples, there is a reddish-purple sheen in the bottom half of the letters. 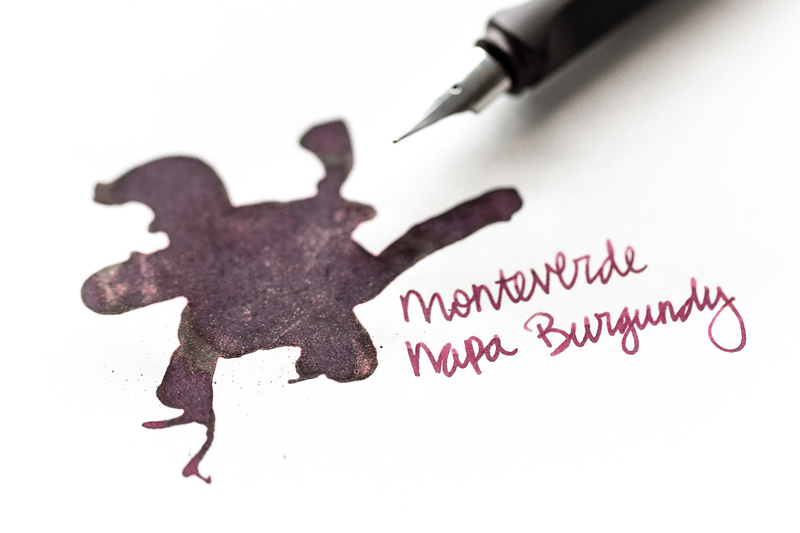 In the splatter, that sheen takes up the entire identity of the ink, creating an opaque foil-like effect. 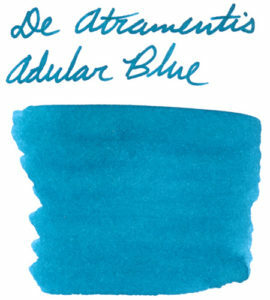 You wouldn’t even know that this ink was primarily turquoise-blue. Wet – This is a very wet ink. I was happy to see that even with an extra-fine nib, the flow was very satisfying to write with. 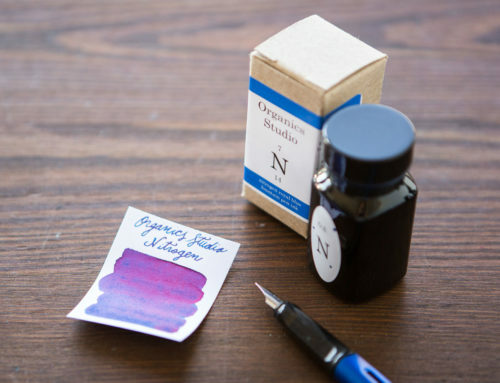 I love the box for the ink: it’s a nice and minimal cardboard with a clean label. 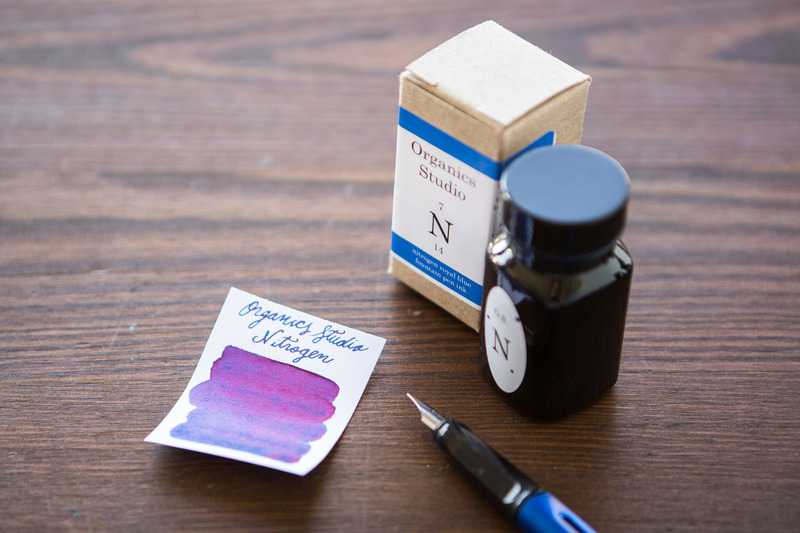 The ink bottle is plastic with a simple oval label reading “O.S. N.” There seems to be less care put into the bottle itself than the box. Some of the labels I’ve seen on these are off-kilter, and there’s no information about the amount of ink on the bottle itself. 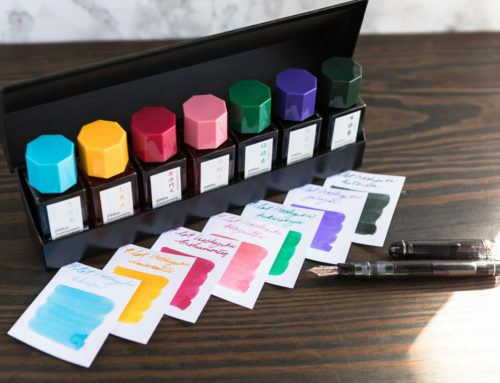 If you were to throw away the box (which I find highly likely), you may not be left with a ton of information about the ink. 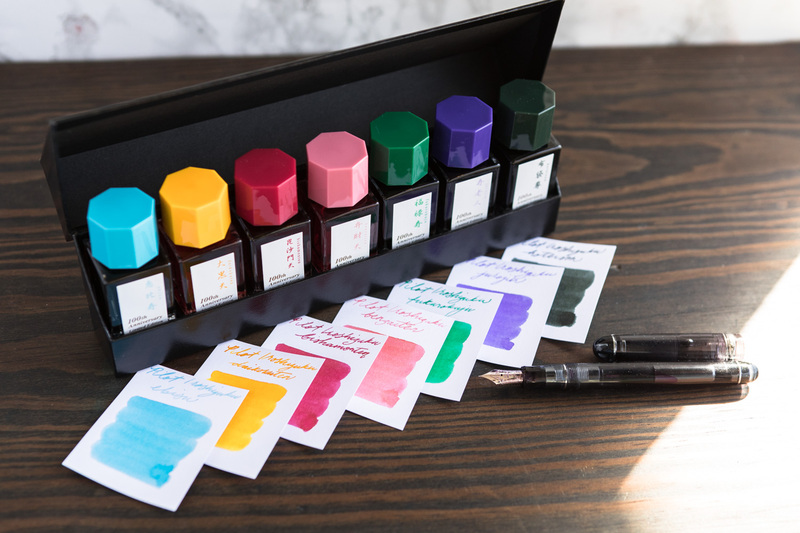 I was a bit cautious going into this ink review because I’ve never used Organics Studio. 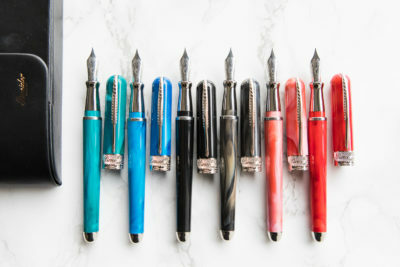 I found the writing experience very pleasant, and I would definitely be interested in trying to use this ink more extensively with my extra-fine pens. The drying time of this ink is a little strange however, so I may be hesitant to use it for every day writing in a notebook. 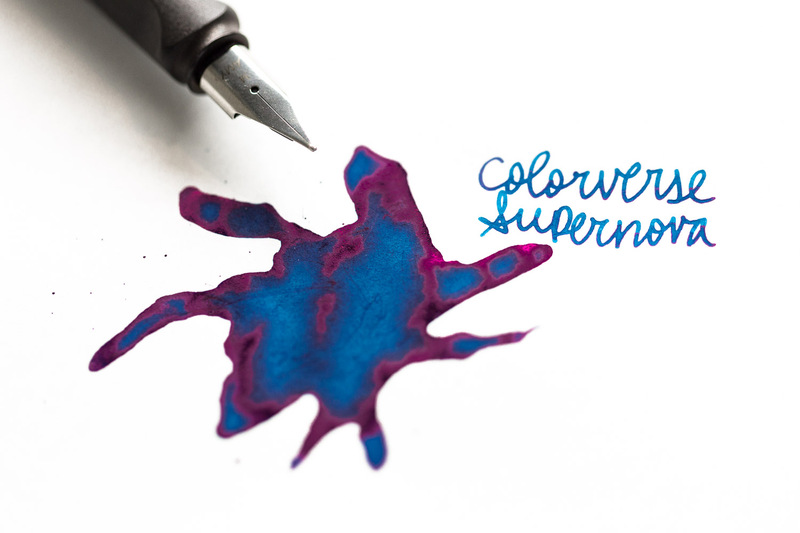 You can find a 55ml bottle of Organics Studio Nitrogen ($13.00) or a 2ml sample ($1.50) at GouletPens.com. 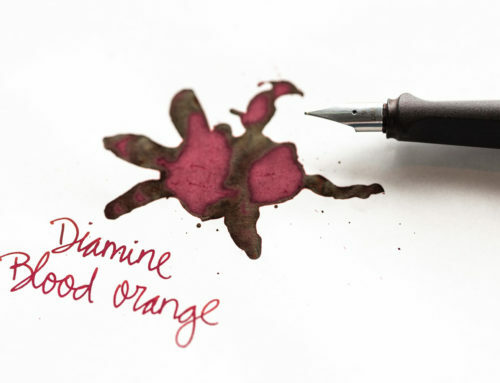 Have you tried this ink yet?